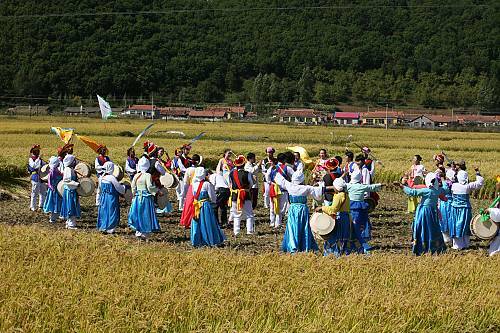 Gathering in fields or villages during community festivals, members of the Korean ethnic group in Jilin and other provinces in north-eastern China offer a traditional sacrifice to the God of the Land to pay homage to nature and pray for good fortune and a plentiful harvest. 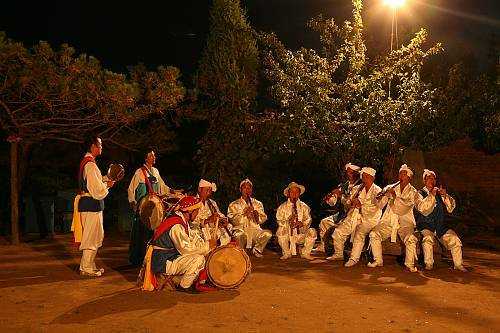 This is the beginning of the farmers’ dance of China’s Korean ethnic group, a popular folk practice passed on by senior members of a community to younger generations. 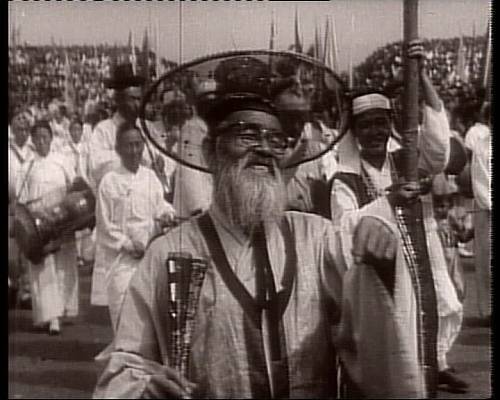 Musicians play oboe-like suona, bell-shaped gongs and a variety of drums, while masked or unmasked dancers move farcically to the accompaniment. 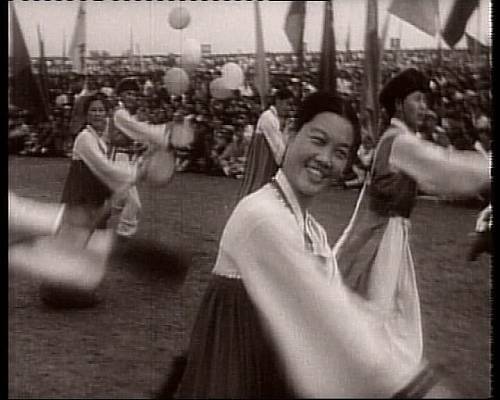 The dance is inspired by the motions of farming, which it imitates through gestures such as ‘walking the field ridges’. 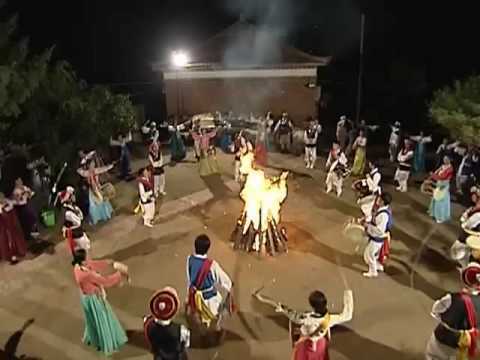 Spreading from its agricultural origins to Korean people of all walks of life in both urban and rural areas, the dance has evolved considerably since it was brought to China at the end of the nineteenth century. 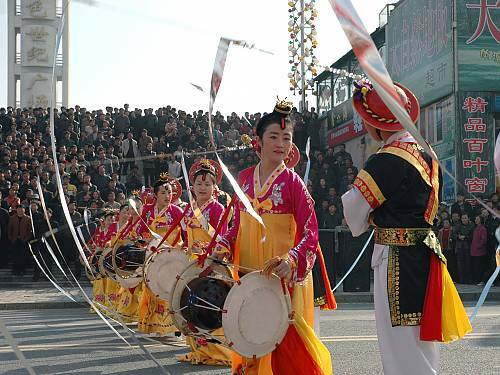 For example, the musical ensemble has been expanded to include wind instruments and the dancers’ costumes have been influenced by the clothes of other Chinese ethnic groups. 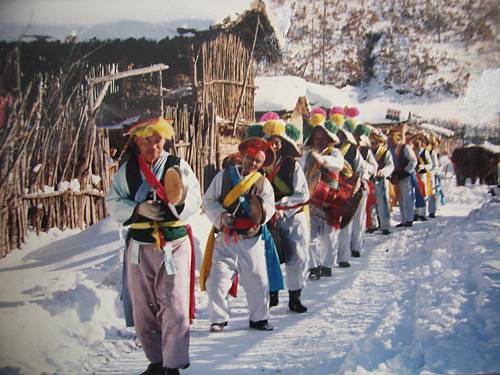 As the product of accumulated labour and wisdom, the farmers’ dance remains an important expression of the cultural heritage of China’s Korean ethnic group.